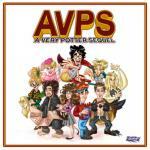 Unlike professional productions, this musical is more like a mockery or parody on films about Harry Potter. In fact, it is. Instead of being amusing, it is fully disastrous! Not to a single character, you imbued with sympathy and they are some kind of empty, with slurred diction, with poor synchronization of movements. This is some fan movement, which having light feelings to all Potteriana, decided to do something to stand out and did this musical. In fact, that's the creation of students of Michigan University 5 years ago. How nice that it wasn’t relieved at the big stage so progressive humanity may have a relief from the need to assess all that improper conduction that takes place on stage. Actors chosen very different from the characters on the movie. They are miserable, ugly, and it is not clear at all how they can attract viewers’ community to their feelings. Even Hermione Granger – a symbol of the beauty of all the films – in this parody on musical became fantastical. Fantastically empty and ugly. Shame on you, producers and director! Yes, the first two days it was viewed in YouTube by 160 thousand people. But rather it is caused by abnormal interest to the topic of Harry Potter, and not to what actually happened on the scene. And the fact, what did took place, looks more like a costumed tomfoolery. Days Of Summer is the most funny song from a collection of stunningly disgusting quality. Stutter (You Were Never My Lover) is the top height of unprofessionalism and denigrates stage productions in general. Harry Freakin' Potter is faded and slurred. A Hermione Can't Draw/Lupin Can't Sing annoys with its inability to do "conversation in the conversation". If you don’t know how to use it – do not do this. The director of music – Darren Criss.